Rifleman 331302 Frederick Hemmings, 1st/8th Battalion, Hampshire Regiment. Stroud Green from a 1910 map. Frederick was born on 1 May 1891 the only child of William Hemmings and his wife Sarah Ann (née Marshall, formerly Kingswell). In the two census returns taken during his short life his place of birth was given as Newbury (1901) and Greenham (1911). The family (his parents and two half siblings) lived at 3 Purver’s Cottages, Stroud Green; while their rented house was in Newbury the lane outside their front door was in Greenham. 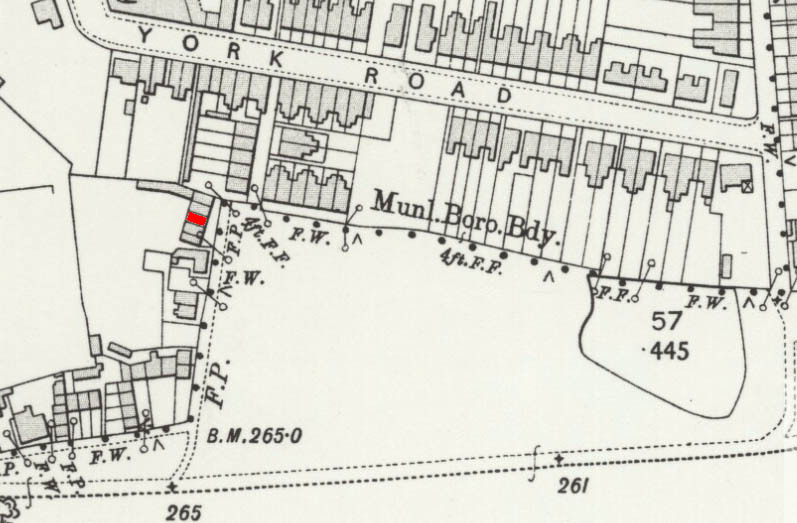 Purver’s Cottages no longer exist; they stood on the site of the northernmost block of flats (31-36) in Vine Court (between the flats and the lane). William Hemmings, living at Purver’s-cottages, Stroud Green, was charged with threatening his step-son, Wm Edward Kingswill, 19 years old. The prosecutor said Hemmings had threatened to throw him downstairs, bash his brains out, and throw him into the pond. Mrs Hemmings deposed to her husband’s violent conduct towards herself as well as the complainant, and Hemmings was ordered to pay the costs, 17s 6d, and find a surety of £5 to keep the peace for three months. Failing to secure the latter he was committed for 14 days’ hard labour. It is hoped that there were better times, but William was not at home to be recorded in either the 1891 or 1901 census. He died in 1910 aged 73 and was buried on 20 August in the Newtown Road Cemetery, Newbury. The burial register records his address as the Union Workhouse – which could imply that he was so estranged from his family that even when he was at death’s door he was not welcome in the family home. However, the Union Workhouse in Newtown Road also incorporated an Infirmary that was the hospital of last resort for the poor (when workhouses were abolished in 1929 it became Sandleford Hospital). Frederick was educated at St John’s Infant School and St Nicolas’ National School leaving on 20 April 1905 aged 13 (education was only compulsory to the age of 12). Almost all children left St Nicolas’ to employment that is recorded in the school records, but not Frederick, in his case there is a blank in the ‘trade’ column. In 1911, aged 19, his occupation recorded in the family’s census return is ‘General labourer’. After war was declared in 1914 Frederick volunteered to serve in the army, but not among the initial rush; he waited until September 1915 – a time when there was a big push to improve recruitment in the hope (unfulfilled) that it might not be necessary to introduce conscription. He joined the local infantry – the Royal Berkshire Regiment and was given the regimental number 19152. However, he never served overseas with this regiment; instead he was transferred to the Hampshire Regiment and posted to the 1st/8th Battalion with the regimental number 3112. 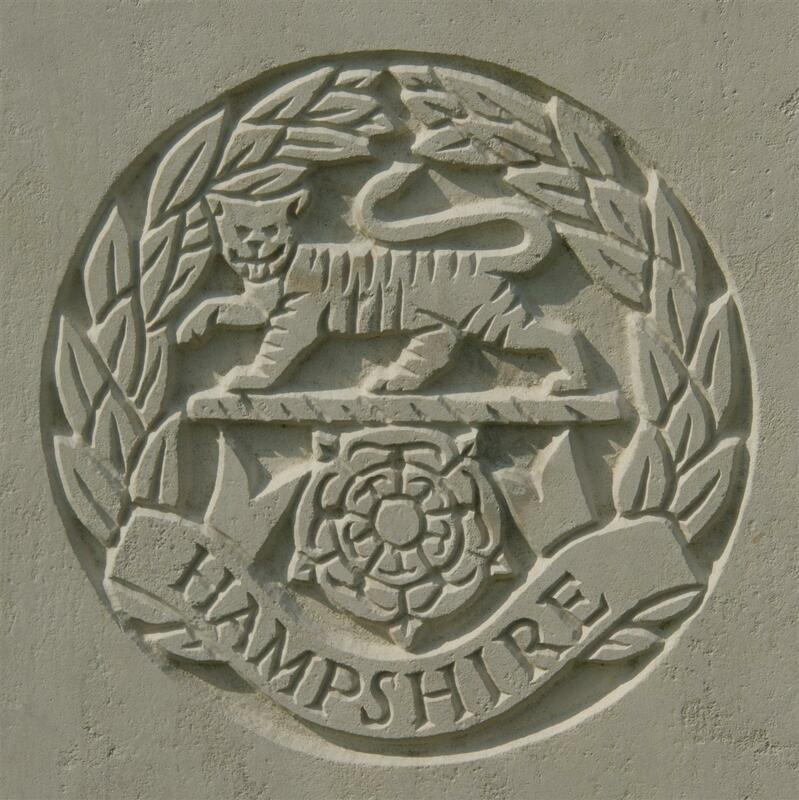 The 1/8th Hampshires formed a part of the 163rd (Norfolk & Suffolk) Brigade in the 54th (East Anglian) Division. This was a Territorial division, formed from the various Territorial units in East Anglia – a strange unit in which to find a Hampshire battalion. In November 1914 the 1st/4th Battalion, Suffolk Regiment was detached from the Norfolk & Suffolk Brigade to be sent to France where the British Expeditionary Force was desperately in need of reinforcements. In April 1915 the brigade was brought back up to strength by bringing in the 1/8th Hampshires. The division first went into action in the Gallipoli campaign landing at Suvla Bay from 10 August 1915. The 54th Division was evacuated from Gallipoli on 26 November 1915, well before Frederick had completed his basic training and been sent overseas. He would have reached his battalion when it was in Egypt where from 2 April 1916 it was responsible for the No 1 (Southern) Section of Suez Canal defences. In August 1916 the Turks attacked the Suez defences in the north and were easily beaten off. Over the following months the British Empire forces known as the Egyptian Expeditionary Force (EEF) advanced along the Medditerranean coast towards Palestine. By March 1917 the EEF had reached the town of Gaza. On 26 March it tried and failed to capture the town. 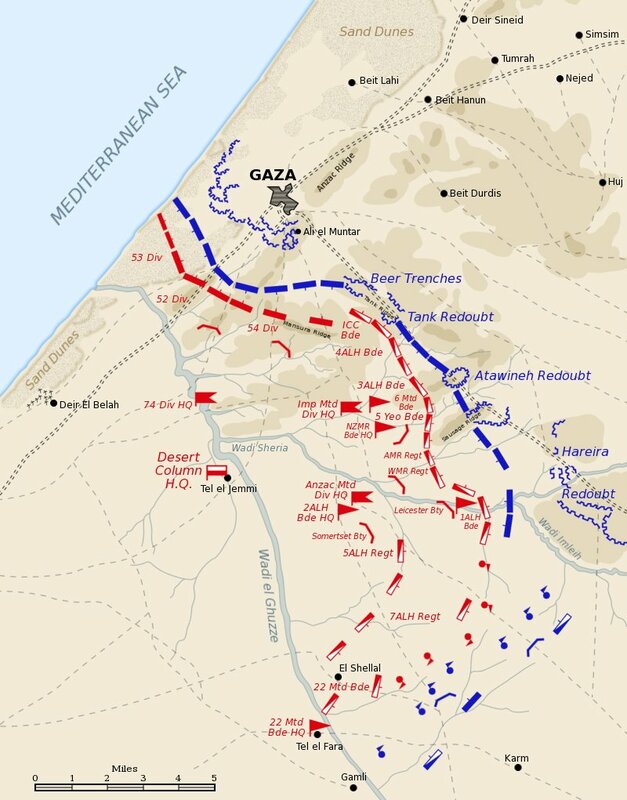 A second attempt was made the following month, known as the 2nd Battle of Gaza. This too was a failure – which cost the commanding generals their jobs, but cost Frederick his life. Frederick’s remains were never identified so he is remembered on the Jerusalem Memorial to the missing of the Palestine Campaign. 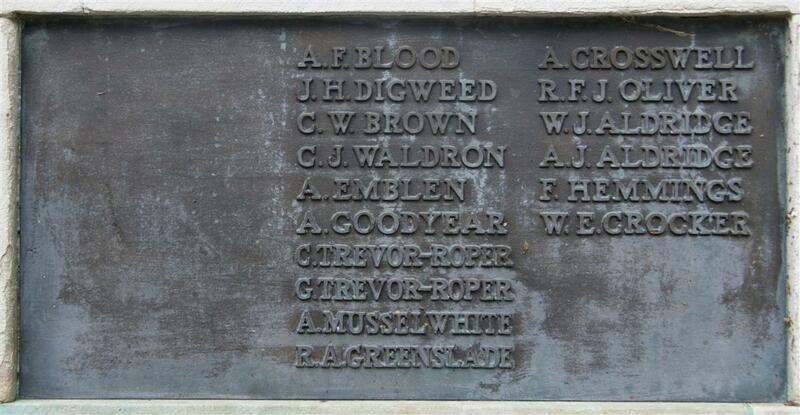 Locally he is commemorated on Tablet 8 of the Newbury Town War Memorial; he was also remembered on the roll of honour in St John’s Church (destroyed by a German bomb in 1943).